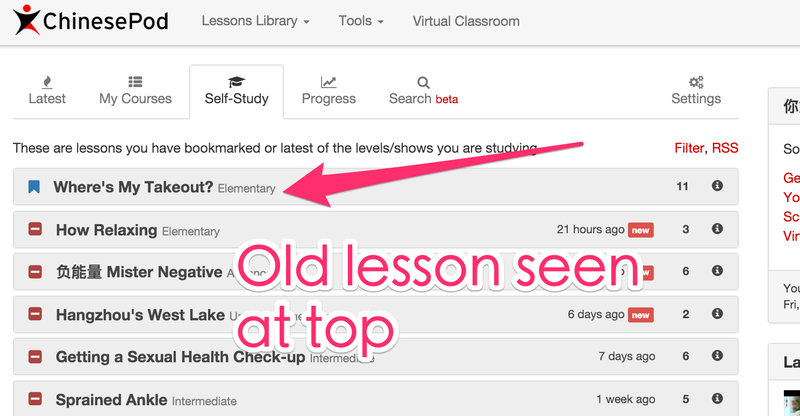 For a brief moment, the beta Dashboard was available and had all lessons neatly organized, included all the studied lessons. If one is to review lessons already studied, they need to be readily available. so, what has happened to the beta Dashboard? 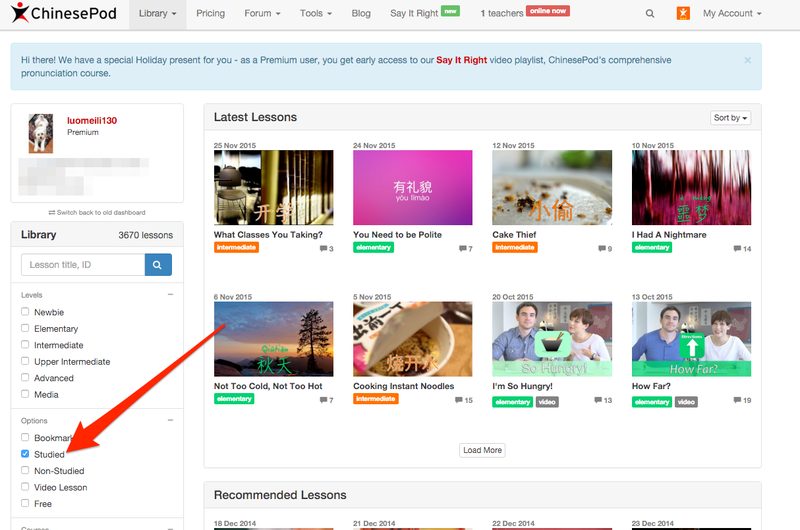 Alternatively, does Chinese Pod have another way to find all of one’s studied lessons? The direct URL is here: https://chinesepod.com/library/find but to go back to it, just click the top left ChinesePod logo in the toolbar. I’d love if there was a way that you could keep the filters selected last time active. Or if there was a way to link to the dashboard with a particular set of filters active (e.g. by having query parameters in the URL). This would make it easier for me to come to Chinesepod via a bookmark and see exactly the content I’d like to see, rather than having to manually adjust the filters before I get started. I remember that In the past I was able to find my bookmarked and studied lessons in the order I bookmarked or studied them, starting at the most recent. 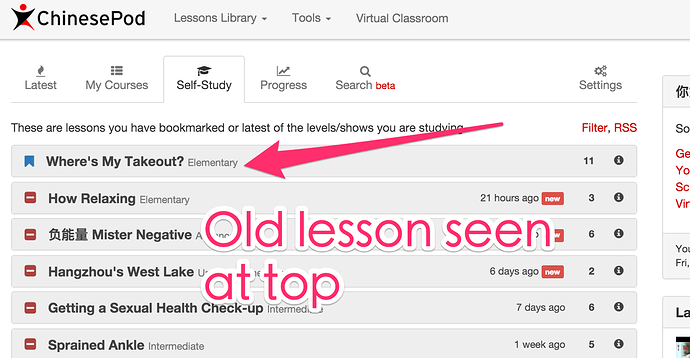 This meant that if I wanted to find particular lessons again, I could un-bookmark, then re-bookmark to be able to find them at the top of the list. I found this very useful. Is it possible to still do this? I think that mstev117’s query relates to mine, but I don’t find a reply to his query. Hence my own question. Yes, I can find my studied lessons, but only in the date order in which they were produced. I used to be able to find them in the order that I marked them as ‘studied’ or ‘bookmarked’. Does the page look like this? I just checked with my dashboard, by bookmarking an older lesson, and it appeared at the top, not chronologically. Perhaps I can take a look at your account and see what this issue is. Does your dashboard look like this? Ah!! That’s the old dashboard. That’s what I was looking for!! Will the old dashboard continue to be available? Yes it will. We will also work on porting this final part of the code onto the newer dashboard. Thanks Gwilym. This is a great feature because it allows us learners a means of easily accessing lessons we want to keep on practising. ChinesePod is definitely the way to learn Chinese. To have access to a huge quantity of interesting content and to listen and read the lessons over and over again works!